On our Boston Personal Injury Attorney Blog, we recently told you about the top 200 most dangerous areas in the state for pedestrians. Throughout this blog entry we will be discussing the most dangerous areas for bicycling accidents in Massachusetts. According to the Massachusetts Department of Transportation (MassDOT), areas near Hampshire Street, Beacon Street, Kirkland Street and Cambridge Street made up the most dangerous cluster for bicyclists in the state. 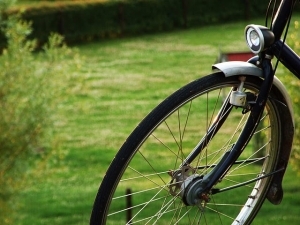 Our Cambridge pedestrian accident attorneys understand that this area has seen more than 100 bicycling accidents from 2002 to 2009, resulting in injuries to more than 70 bicyclists. The second most dangerous cluster for these types of accidents was the area of Cambridge Street between Lansdowne Street and Hancock Street. In this area, nearly 80 bicycling accidents injured nearly 50 bicyclists during the same time period. Officials are most worried about child bicyclists since the school year has recently begun. Officers ask that parents talk with their bicycling students to help ensure they are commuting safely to and from school. We urge you to teach them of the importance of making eye contact with drivers as they’re approaching and crossing intersections. They should also understand the need to continually examine their surroundings as they’re crossing the street. Children need to be as predictable and as visible as possible. Make motorists aware of their presence. “Make sure your child is age-appropriate to walk to school by themself,” said Cambridge Deputy Police Superintendent Jack Albert, according to a recent ABC5 report. It is important for parents to help their child to figure out the safest route to school. Parents are urged to locate the intersections that have crossing guards to help ensure your little bicyclist’s safety. Young travelers are always safest using the instruction of a crossing guard. The state compiled a list of the most dangerous intersections in terms of frequency of accidents and the number of people injured and killed in accidents. Many of these intersection “clusters” have been the site of a number of accidents. -Massachusetts Avenue, between Hudson Street and Milton Street. -More than 60 bicycling accidents. -Massachusetts Avenue, between Bow Street and Sellers Street. Many of these accidents can be avoided if everyone does their part to take notice of one another. Bicyclists are required to follow the rules of the road as well and should be treated as equal travelers. As we continue to promote the eco-friendly, active way to commute through the area, we also have to promote safe driving habits and ask motorists to keep an eye out for our two-wheeled travelers. If you or a loved one has experienced a pedestrian or a bicycling accident in the Boston area, contact Massachusetts Car Accident Attorney Jeffrey S. Glassman for a free and confidential appointment to discuss your rights. Call 1-877-617-5333.